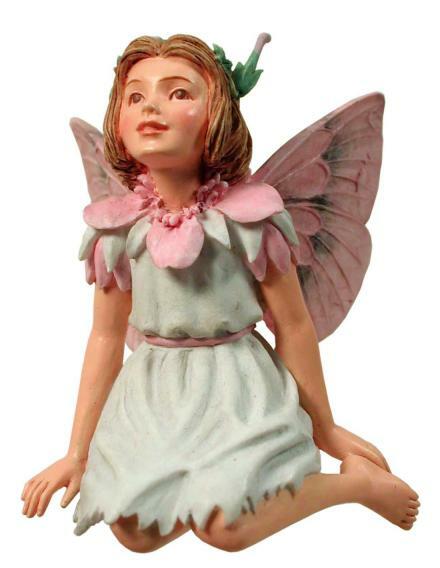 Beautifully hand painted Stork's Bill Flower Fairy figurine. Optional gold string and wire pick included for securing in your display. Individually packaged in its own window display box that includes a biography of the artist, Cicely Mary Barker. Please stay and talk a bit!" Upon this grass I'll sit. Why am I like the Stork's-bill? "Oh no, you clever Grasshopper! I give it up at once!"